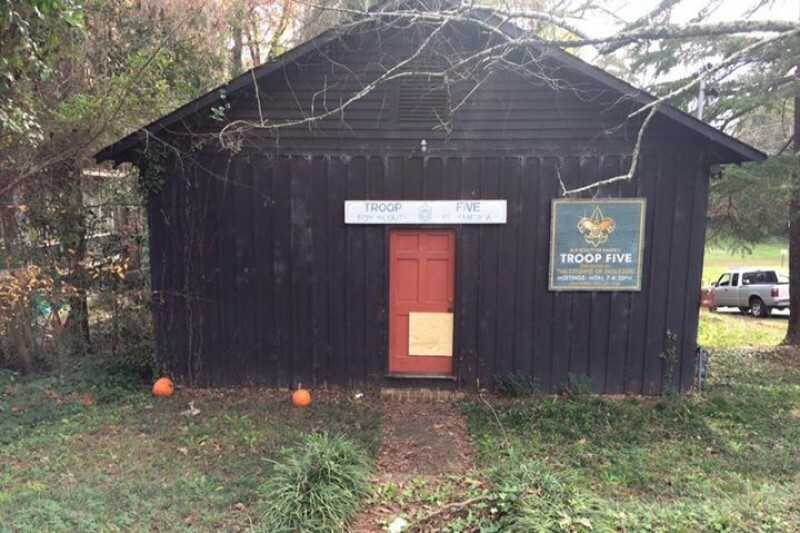 The Troop 5 scout hut that has stood on Ingleside Avenue next to Henry Burns park since 1933. That just might change soon. According to Gray, Georgia resident Robbie Thomas, who is an Eagle Scout and Forestry student at the University of Georgia, "The city of Macon has decided to tear it down in late September. 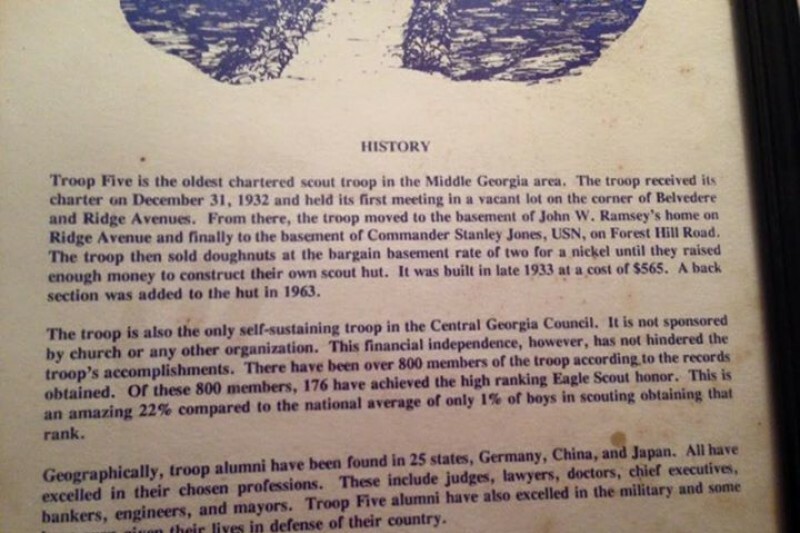 Please spread the word that on September 4th from 2-5 we will be having an "open hut" for anyone, especially former scouts to come say goodbye to this piece of history that has influenced countless lives and taught many boys the American way." Thomas also encourages the community and all Boy Scouts to like the page specifically dedicated to the Hut to see further information and updates.